Unfortunately there are certain stigma and stereotypes surrounding bipolar disorder. Many people think that people with bipolar are just moody, they don’t consider it an illness. Some people even think people with bipolar disorder are dangerous when the truth is they are vulnerable. People with bipolar disorder can behave in an extreme way at times, but their reckless actions and poor choices make them more of a danger to themselves than others. Did you know some of the world’s most talented and famous people including Beethoven, Winston Churchill and Mark Twain had bipolar disorder. Bipolar disorder can affect you at any age, but you’re most likely to be diagnosed when you’re younger. 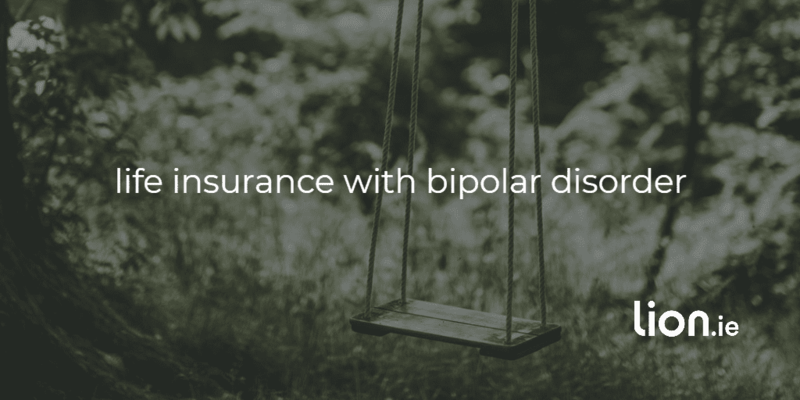 How does a Life Insurance company assess Bipolar? 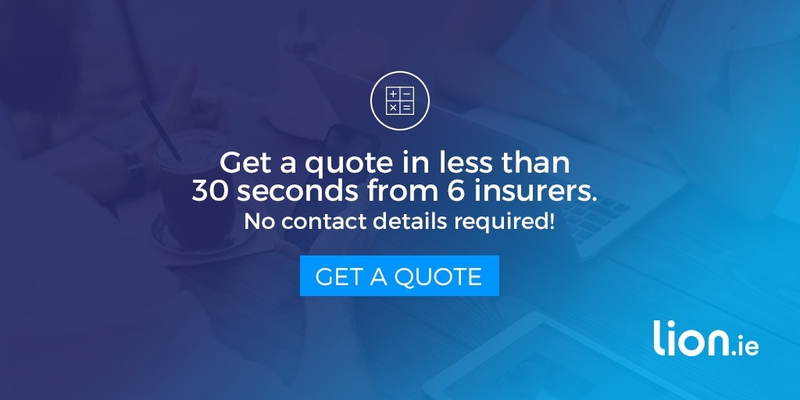 When it comes to getting life insurance with a mental health issue, you may think that the greatest concern of the life insurance company is death by suicide. Generally people hear the word “bipolar” and immediately think that person is a danger to themselves. As a result, you might think that someone who has had suicidal thoughts or attempts in the past will be declined for life cover. For the insurance company it all comes down to how well you manage your condition, be that bipolar, diabetes or any other health issue you may suffer from. The insurance companies are most concerned when your condition isn’t under control and you have unexpected episodes. Do you do well for a year and then spend some time in hospital? This is uncontrolled. The more evidence of uncontrolled behaviour the underwriters see, the lower your chances of getting life insurance. On the positive side, if your condition is stable then you’re in with a good shot of approval, although at a higher rate than somebody with no pre-existing conditions. So what’s points to good control? All these things point to a well controlled condition. Use a life insurance broker who works with all the insurance providers in Ireland. Preferably find one who has expertise in getting cover for clients with mental health issues. All the underwriting departments at the various insurers treat bipolar differently so you could be wasting your time applying to some of them. A good broker can guide you towards the most sympathetic insurer for your condition. While applying to the wrong insurer could make matters worse for you. You see, if you apply to and are declined by Insurer A, you have to disclose this declination in all subsequent applications. This will put the other underwriters on alert making it more difficult for you to get cover. Will you need to do a medical exam? Insurer reviews report and makes decision. The insurers are quick to make underwriting decisions once they have all the necessary medical evidence. Delays usually arise because the GP doesn’t have your full medical file including psychiatric reports. If this is the case, ask your psychiatrist to send all your reports to your GP before you apply, otherwise I suggest you put your comfy socks on and sit back because this could take aaaaaaages. Unfortunately a decline is likely if you have had recent a recent episode and a postponement is likely if you have recently started new treatment. If you’re considering an application for life cover or mortgage protection and would like me to give you the best chance of cover with the least amount of hassle, please complete this mental health questionnaire. Knowledge is key here so please, to allow me to present your application in the best light, disclose everything about your history of mental health. It will hinder your application if you don’t mention something now that will show up on your medical or psychiatric report later. Insurers are suspicious by nature, if they learn something new from your medical report that you should have disclosed, they will simply decline your application. 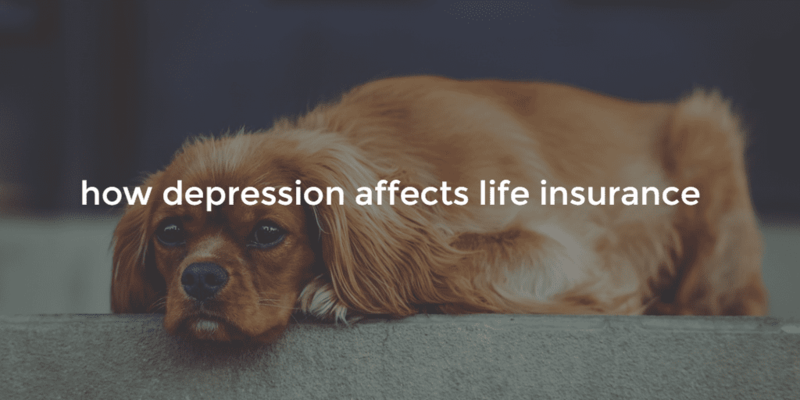 Worried that a history of depression will make it hard to get life insurance? We know where to apply so you'll get cover at a fair price, hassle-free.